Avtek specialists in Façade Solutions, are nearing completion of the installation of Velfac windows and doors at Maidenhill Primary School which they were sub contracted by BAM Construction to fit. The state-of-the-art new build school lies within a brand-new socially-inclusive neighbourhood where more than 800 homes are due to be built. Complete with a nursery, the development will ensure East Renfrewshire Council meet the increase in demand for primary places and is due to open in August 2019. 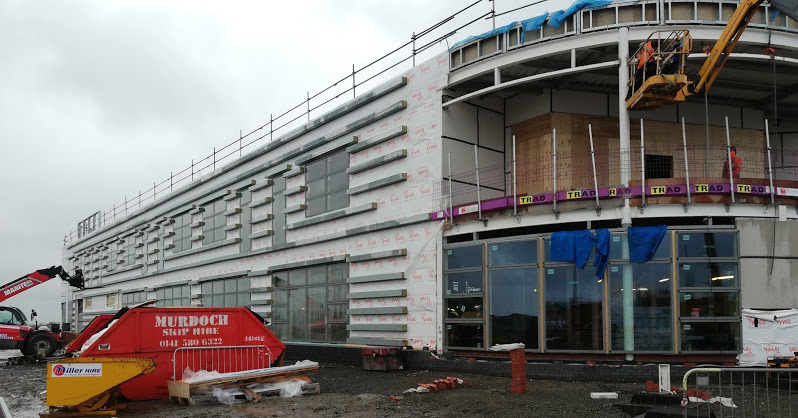 As Scotland’s leading Velfac installers, Avtek are installing 700m² of Velfac windows and doors whilst providing the first-class customer service that BAM Construction have come to expect from Avtek. By consistently providing expert project management skills, applying great attention to detail and through establishing close working relationships with onsite management, Avtek ensure schedules are on time and that quality is controlled at every step of the process. It is with this approach that Avtek have established themselves as market leaders in Velfac installations.